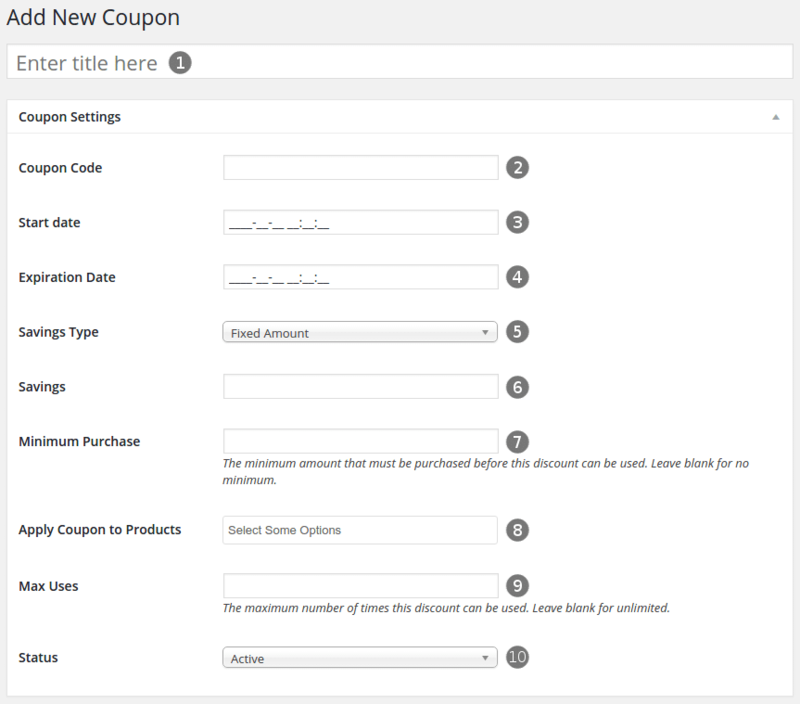 In order to create coupon in Tajer navigate to “Coupons” then click on “Add New” button. The coupon code that you will give to your users in order to enter it on the cart page and get the discount. The starting date that this coupon will be valid. The saving amount(see the previous point). The minimum amount that must be purchased before this discount can be used. Leave blank for no minimum. Specify the products that this coupon can be used with, select “All” to apply this coupon to all products. The maximum number of times this discount(coupon) can be used. Leave blank for unlimited.